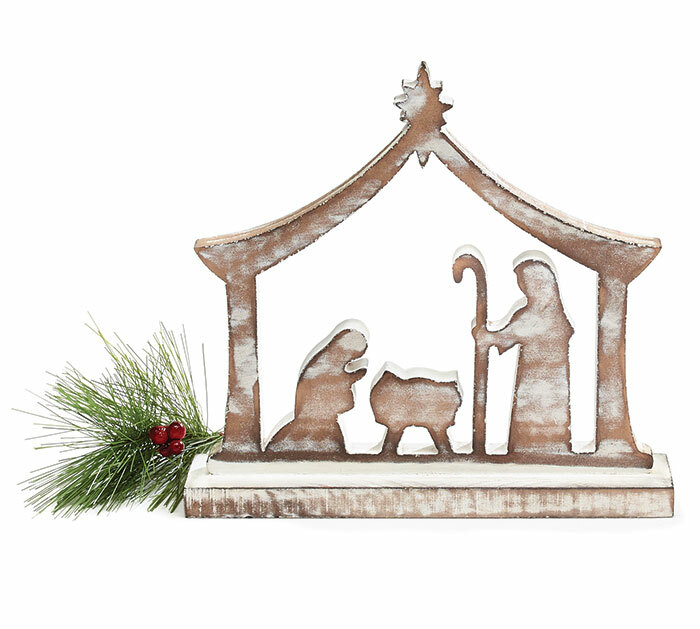 Shelf sitter nativity of the Holy Family made from wood,white washed and distressed. Includes: kneeling Mary, baby Jesus in a manger, and Joseph, standing with a cane all one piece on a wooden platform. 9 1/2" H x 10" W x 2" D.